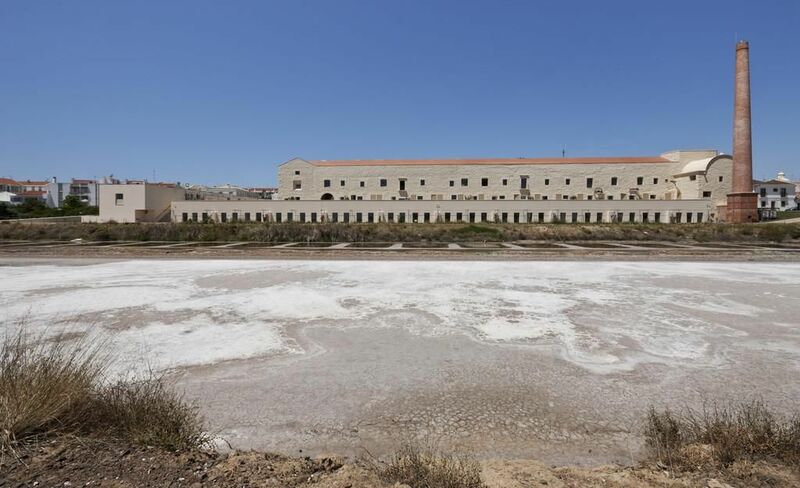 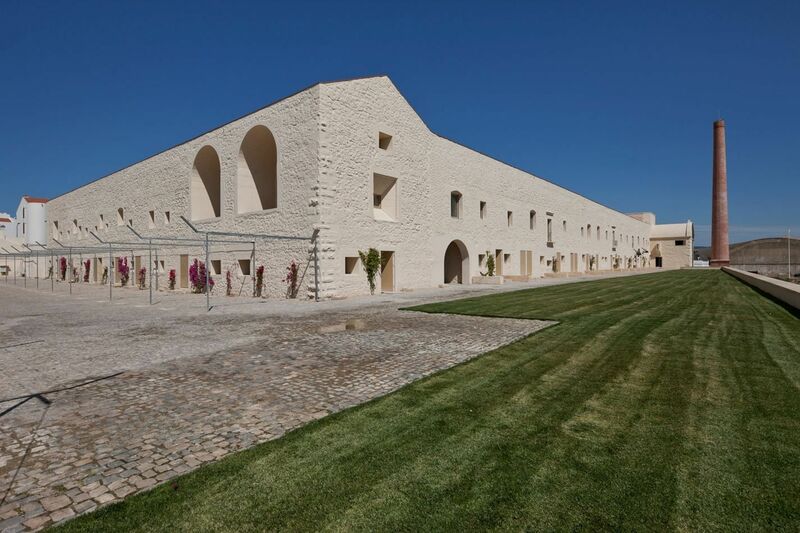 The restoration of the Convento das Bernardas is based on the construction of a resort with 78 residences. 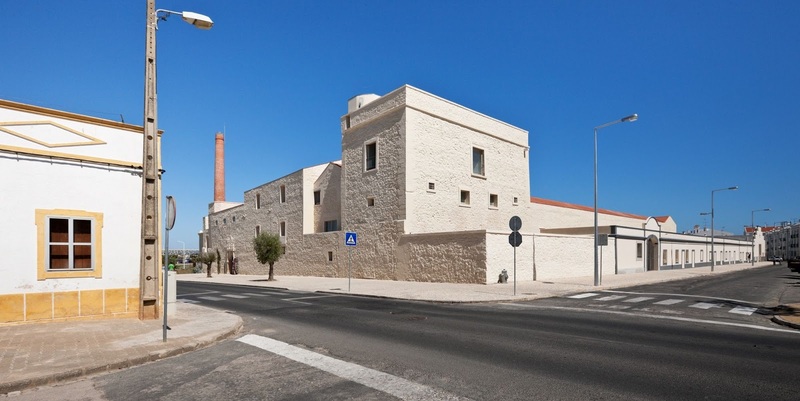 The architecture design is divided into two types of intervention, with new construction work and the recovery of the existing building. 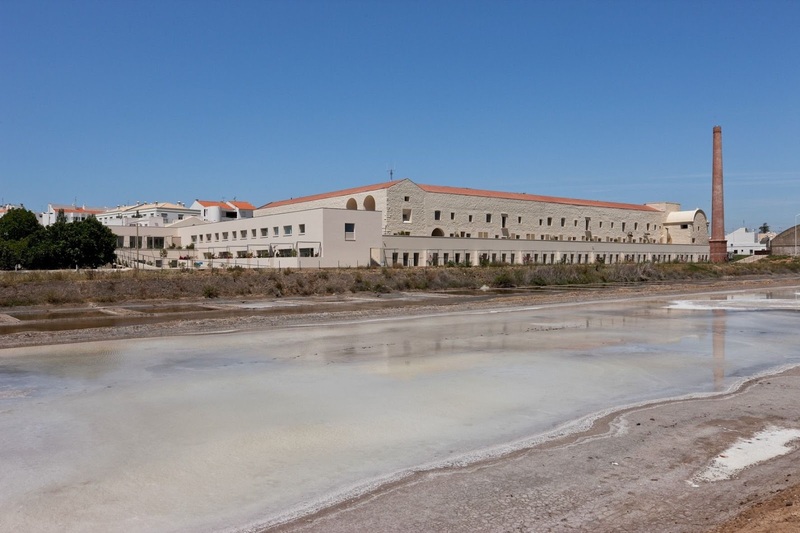 The new building is shaped in the form of an “L”, along the Eastern stretch of land between the convent and the salt mines. 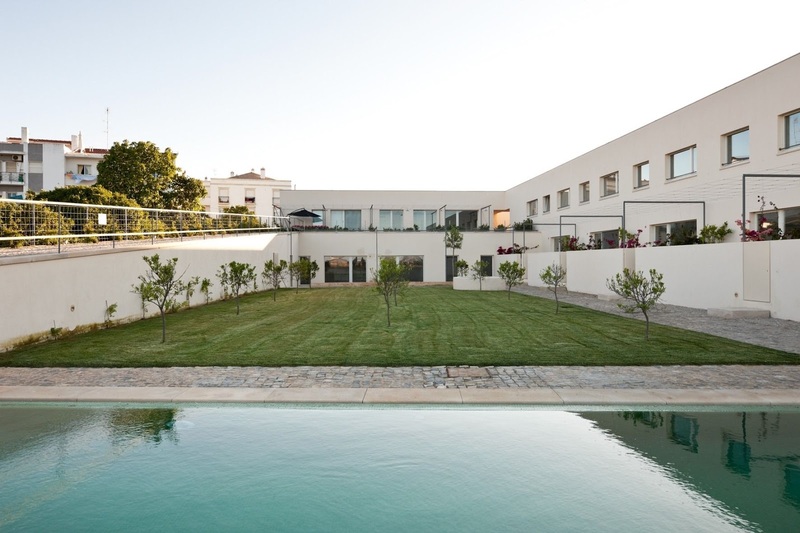 Taking advantage of the 3-metre elevation between the two platforms, a line of single-family townhouses is built on one or two floors with terraces on what was once the convent’s orchard. 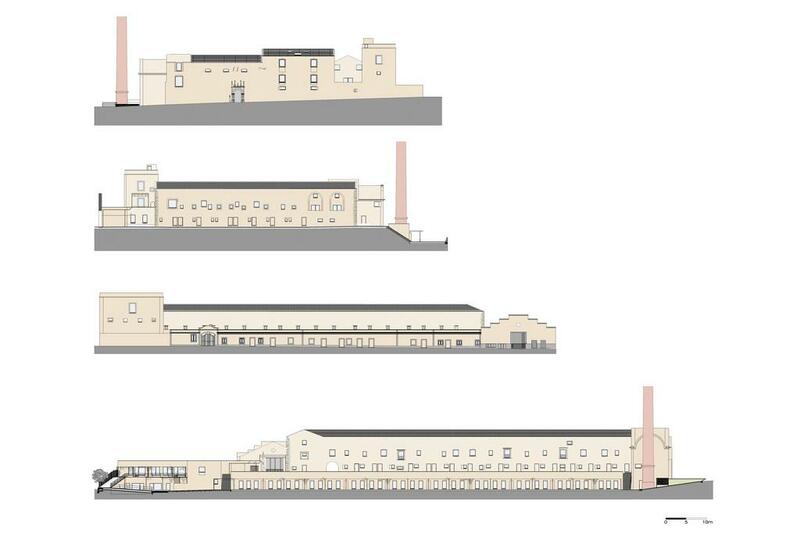 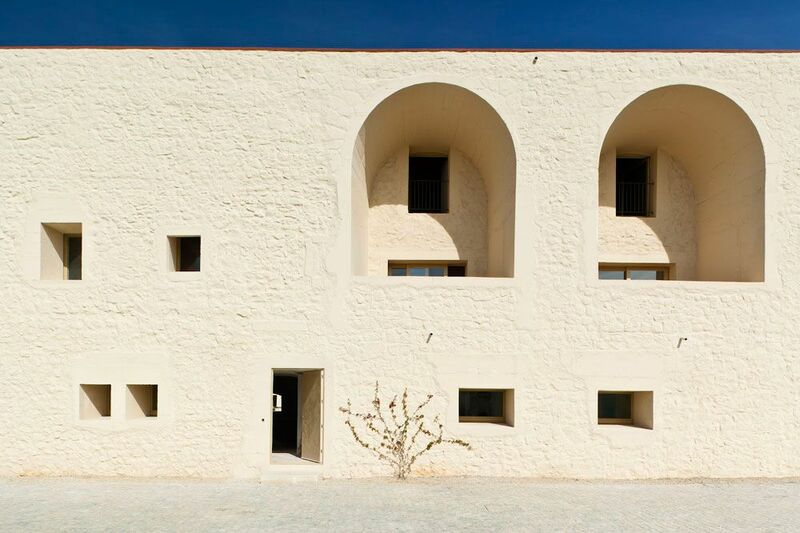 The construction performed “within the existing walls” of the former convent is spread out over the building’s different wings according to independent modules, with triplex dwellings (two floors and mezzanine). 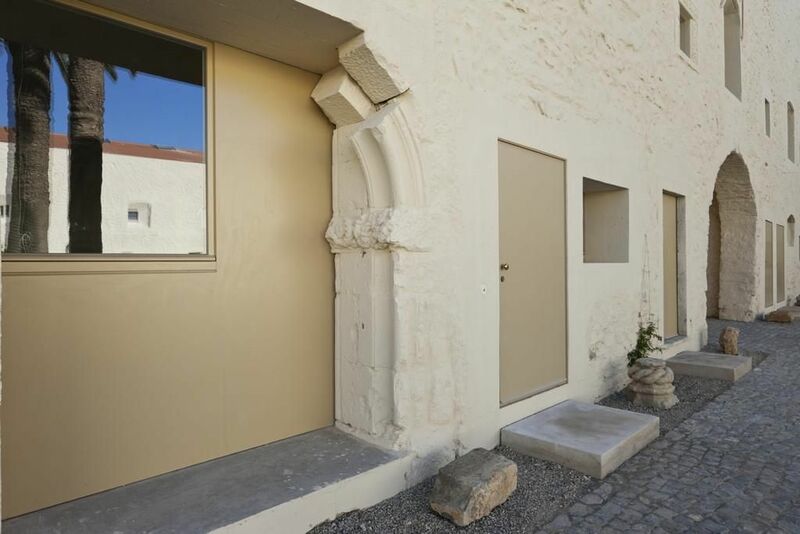 In the extension of the Eastern Wing and in order to complete the great patio, a new body is constructed, “concealing its appearance as a new construction” within the convent as a whole. 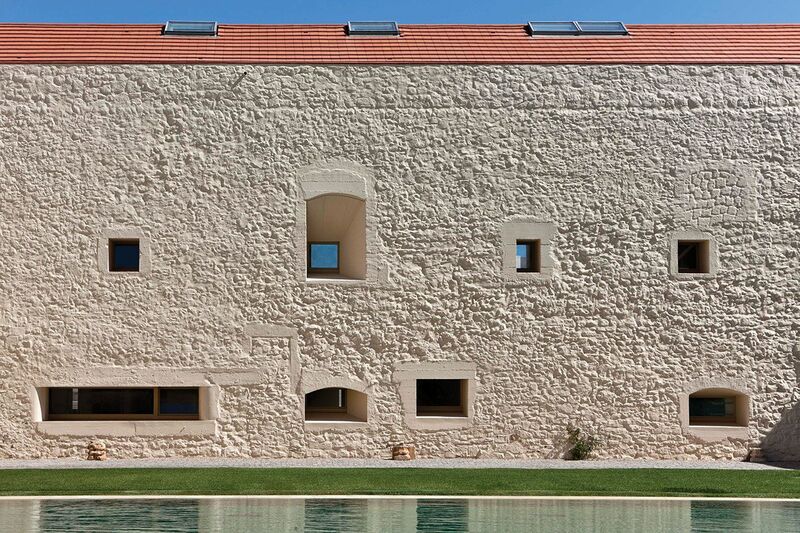 In the Tower, the convents infrastructures are kept (stone walls, stone or brick pavements and brick vaults) providing the access to 4 houses with different typologies. 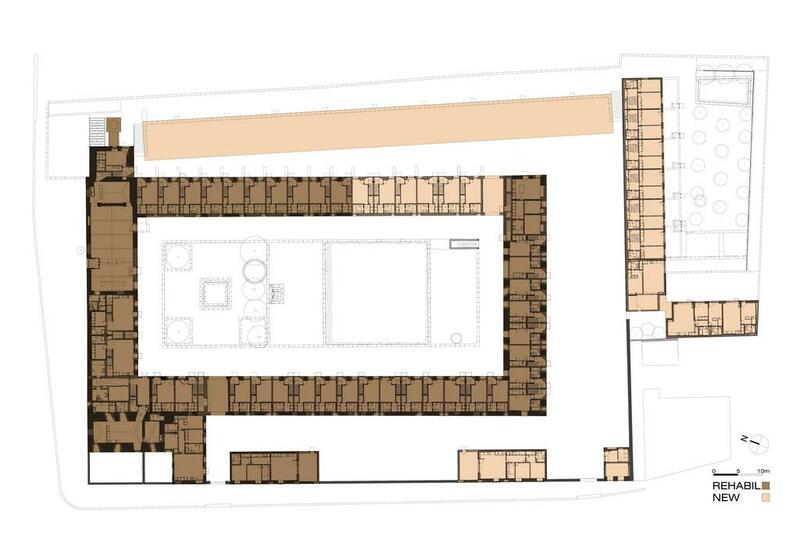 In the body of the church, the central nave is reused as the condominium’s reception area and residences are proposed both to the east, the altar’s former location, and to the west, where the monks would sit during religious ceremonies. 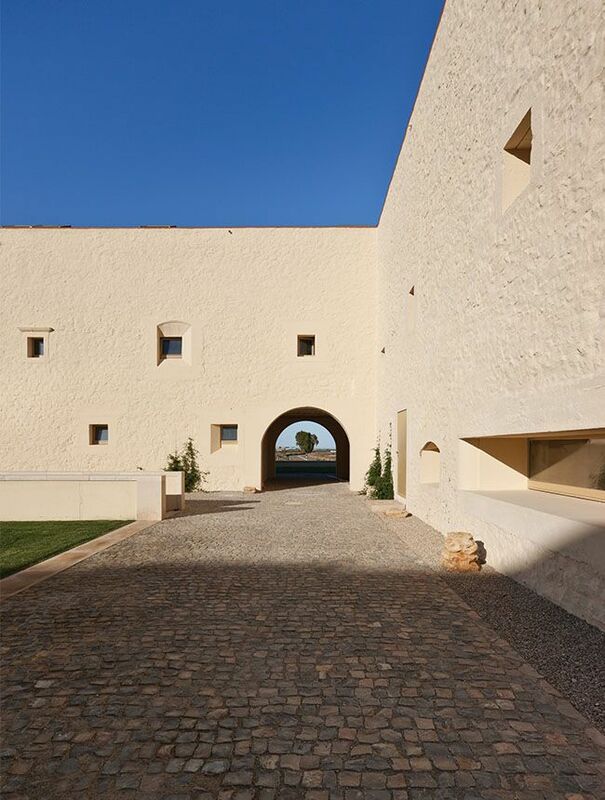 Outside, a series of metal pergolas covered with indigenous vegetation protect the terraces of the new houses or serve as a “shelter” for cars, also concealing any support machinery for the dwellings. 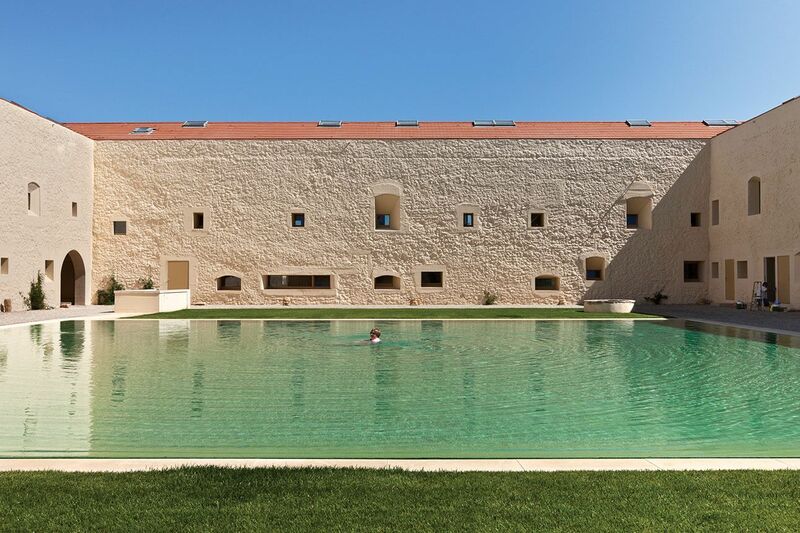 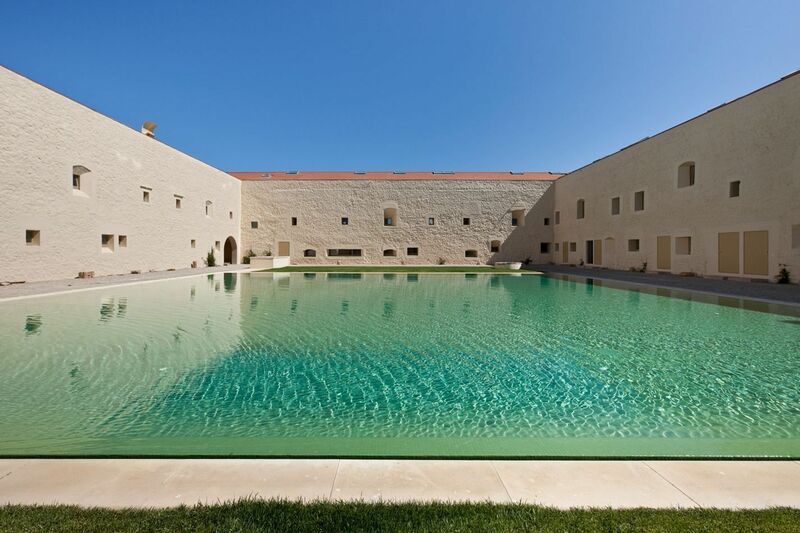 The great central courtyard is divided into two areas: to the north a paved square with four trees in the four corners serves as a reminder of the cloisters of old, and to the south a swimming pool draws its inspiration from the large tanks situated in the south.